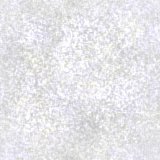 These pages have come about through the generosity of Anne ALLISON nee LANCHBURY who contacted me early in 2007 after her computer 'literally burst open' at this site. I am very grateful to her for all the time she has taken in locating all of this information and sending it to me despite technical problems between the two of us. 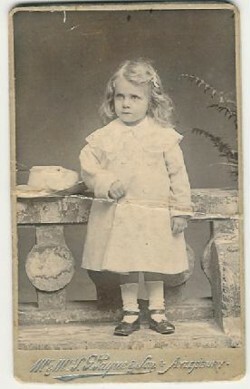 Most of the photographs will either have labels on them, or text taken from Anne's emails when she sent them to me. If you should wish to contact her, please send me an email at maygenealogy @ lanchbury.id.au (removing the spaces) which I will forward on for her to reply directly to you. 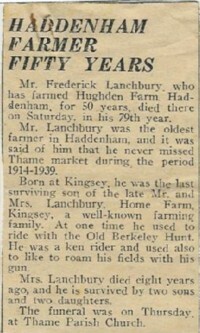 These notices appeared in the Bucks Yeoman Newspaper after Fred's death. 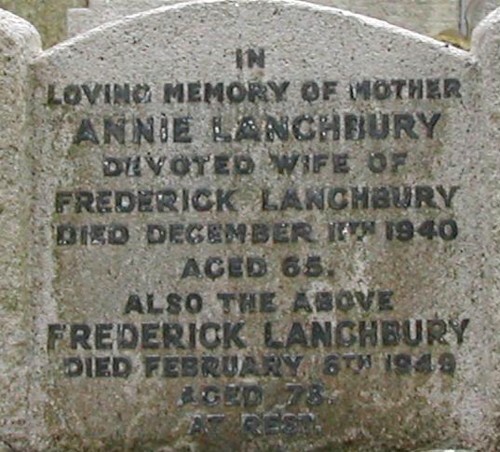 Frederick LANCHBURY died December 1?th 1940 aged 65. 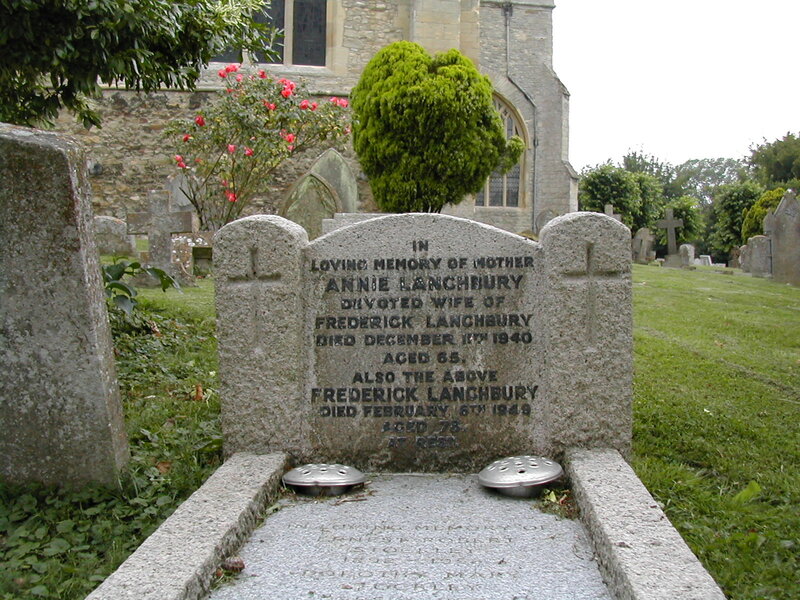 Also the above Frederick LANCHBURY died February 6th 1949 aged 78. At rest. 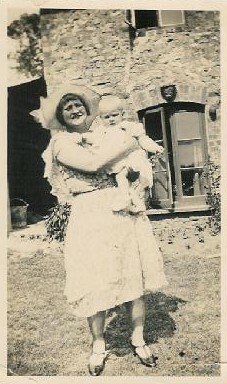 They are photos taken at Hughden Farm. 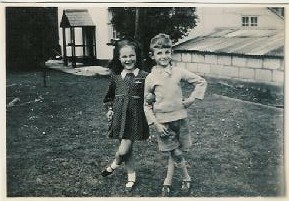 Anne continues 'The girl is the daughter of Stanley Lanchbury (my father's younger brother) The biggest boy is my brother Frederick James (born 30th September 1940) The smaller one is my brother Alan Robert (born 13th April ?) I will try to find the dates of their deaths at a later stage. Sadly Fredrick James, who was born with the handicap of being profoundly deaf, was on holiday with an organised holiday for deaf boys, when he was drowned in a boating accident on the river Thames. Jimmy was able to live a full life with this handicap, he had learned to drive, and drove his own car. 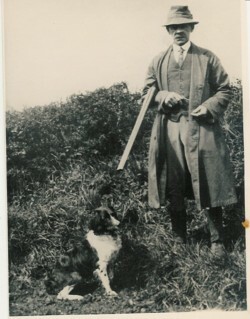 He worked as a fully trained baker, at Jackson's in Aylesbury. I will find a date for you but, as I remember, he was about twenty/twenty-one then. It was a very traumatic time for all the family. 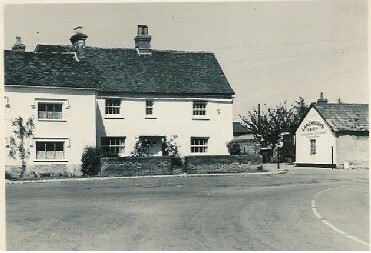 Alan was killed at the age of about twenty-three, in a horrific car accident, which occurred just a mile out of this village. Three young men were killed, the driver was the only survivor. 'The attachment is an advertisement, and a part view of an old milk-round book, with some of my Dad's jottings decorating it. It is dated 1964. 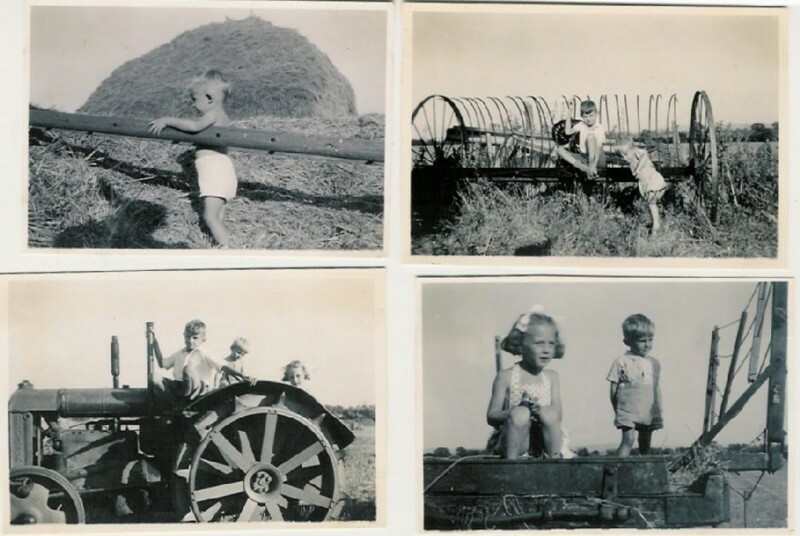 It is a pity that we have no better photographic record, but I guess in those days we either did not own a camera, or everyone was too busy working to think about recording all that went on. 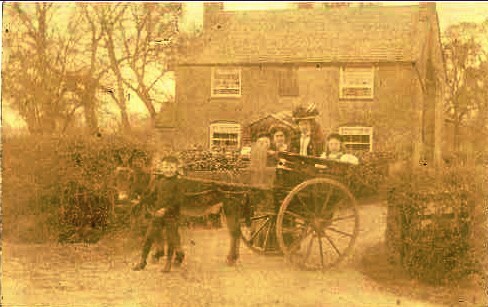 It is such a pity that we have no record of the vehicles that Dad used over the years to do the milk rounds. At first they were horse draw milk-floats, which I can't remember. Later he used three-wheeled vans, they were great fun. After the war the fleet consisted of ex-W.D. vans, painted up in our colours. Before he retired he had newer and more modern vehicles. 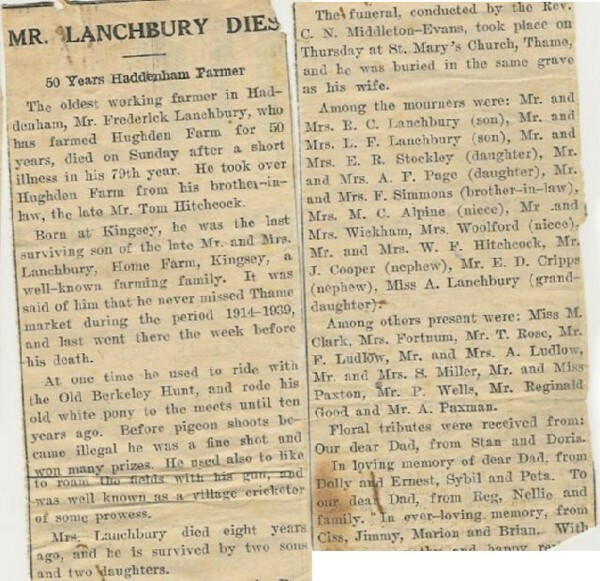 Please email May at maygenealogy @ lanchbury.id.au (removing the spaces) if you wish. Additional data or comments are always welcome.